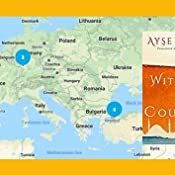 Without a Country - Kindle edition by Ayse Kulin, Kenneth Dakan. Literature & Fiction Kindle eBooks @ Amazon.com. From the international bestselling author of Last Train to Istanbul comes a novel based on true events that explores the depths of pride, devotion, and persistence as four generations of a family struggle to forge their destinies. As Hitler’s reign of terror begins to loom large over Germany, Gerhard and Elsa Schliemann—like other German Jews—must flee with their children in search of sanctuary. But life elsewhere in Europe offers few opportunities for medical professor Gerhard and his fellow scientists. Then they discover an unexpected haven in Turkey, where universities and hospitals welcome them as valuable assets. But despite embracing their adopted land, personal and political troubles persist. Military coups bring unrest and uncertainty to the country, intermarriage challenges the cultural identity of Gerhard and Elsa’s descendants, and anti-Semitism once again threatens their future in the place they call home. From World War II to the age of social media, one family’s generations find their way through love and loss, sacrifice and salvation, tragedy and triumph—with knowledge hard won and passion heartfelt. World War II scattered families across the globe, with only the luckiest remaining together in their new homes. In this poignant, timely novel, we meet the Jewish scientists who move from Germany to Istanbul to develop their vision of the world’s best universities. Based on the true story of neuropathologist professor Philipp Schwartz, Without a Country tells the story of one family’s migration, with all the challenges and triumphs of laying down roots in a new land. 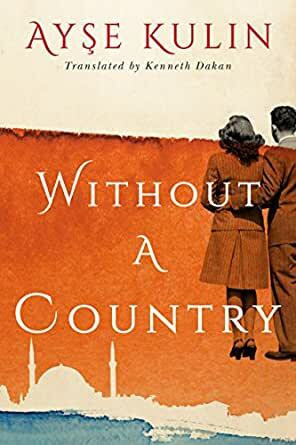 Gerhard and Elsa face challenges settling in, but their daughter, Susy, was born and raised in Istanbul, this “city of surprises and unexpected beauty, a city that made one grateful to be alive.” Through the novel, we experience not only the trials of adapting to a new culture but also the delights of discovery. Watching her grow up speaking Turkish in school, surrounded by Muslim friends, we fully understand why Susy considers herself more a Turk than a Jew. But how can one family contain such multitudes, with language, religion, and nationality pulling them apart? In today’s world of mass migration and conflicting views on immigration, it is fascinating to look back on the Jewish diaspora and to see how this family evolves. This beautiful saga offers lessons in compassion and grace in an ever-changing world. One of Turkey’s most beloved authors, with more than ten million copies of her books sold, Ayşe Kulin is known for captivating stories about human endurance. 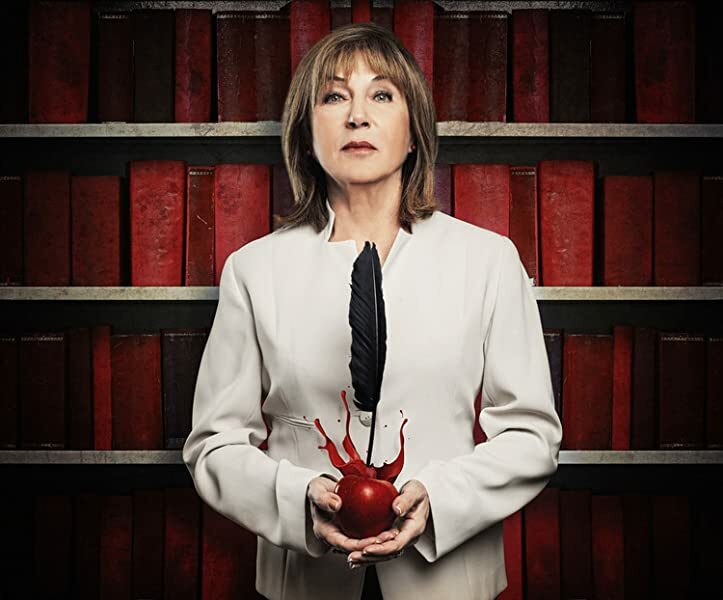 In addition to penning internationally bestselling novels, she has also worked as a producer, cinematographer, and screenwriter for numerous television shows and films. Last Train to Istanbul, winner of the European Council Jewish Community Best Novel Award and the Premio Roma in Italy, has been translated into twenty-three languages. By the early 1930s, Gerhard Schliemann knows that his family is no longer safe living in Germany because they are Jewish. He eventually finds employment in Turkey and soon his wife and two children join him and attempt to adapt to life in their new country. This is a historical fiction book that not only follows generations of a family from the 1930s to present day but also the country of Turkey as it undergoes massive changes throughout the years. What really drew me into the book was the setting of Turkey as it's not a country that is usually represented in WW2 historical fiction. It was almost like a character itself because so much of what was going on in the country affected the actions of other characters. And while only part of the book takes place during the war, the author did a fine job in showing how relevant that time period is even in today's times. I really enjoyed watching this family throughout the years as they dealt with heartache, love, and betrayal and all the other stuff one experiences in life. They might have all been related by blood but each person forged their own unique path in life. My only real complaint about the book is I thought there was one story line that had too much of a soap opera quality to it. It felt unnecessary and added just for drama's sake. Would recommend this book if you enjoy historical fiction and/or family dramas. A great find to read and reminisce the mosaic of Istanbul’s people. Glad to see that the contributions of German men and women to the Turkish society in the early days of the Republic is recognized. 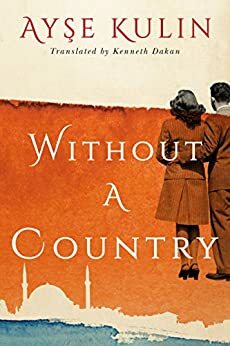 'Without a Country' started with an intriguing premise, where a young, Jewish German doctor and academic, his wife, and their two young children have to flee Germany in the early 1930s at a moment's notice, as Hitler and the Nazi party begin their prosecution of Jews and intellectuals. They flee to Istanbul, Turkey, and the book covers their attempts as a family to assimilate and build new roots in a country that has it's own political troubles and unrest. Unrest that they become participants and victims of. Overall, the book makes a lukewarm attempt at being written in the style of a saga, as it haphazardly covers the family and its descendants from 1933, up until 2016. The Jewish German doctor and his wife hold on to their German heritage while raising their two children in Turkey, but the children each grow up with different ideas of what their own identity is. Peter their son, is comfortable as a German Jew and later goes to study and live in America. Suzi their daughter identifies as Turkish from a very early age, much to the dismay of her mother and indifference of her father. She later marries a Muslim childhood friend and proudly expresses her Turkish identity, since it's the only country she's ever known. Suzi's daughter, Sude, is neither here nor there. She is a free spirit who travels the world at every turn, living an unattached bohemian, new age lifestyle. Sude's daughter Esra, becomes a doctor but struggles to see how she fits into the legacy of her family and the chaos of a changing Turkey and changing world. I mention all this simply to point out that the author covers a lot of ground, and a lot of history. The history of not only the family, but also of the country of Turkey. Even though the book covers a wide span of time and multiple generations, the plot is surprisingly simplistic and sometimes dull. I felt the book read more as a melodrama with occasional familial disagreements, rather than a sweeping, multi-generational saga that had a profound lesson to impart on the reader. There's a lot of relocating around between cities in Turkey, odd couples fall in love, stubborn babies are born, plenty of eating, and a lot of admiring of the Turkish landscape. Thrown in once in a while are riots, coups, and political unrest which several of the characters get entangled in, but not entangled enough to make you feel worried for their safety. Annoyingly, the beginning chapters are plenty and very short, which I found distracting because so much was being told in short spurts, but it wasn't anything exciting or major. Despite this though, the first half of the book was enjoyable and I liked the earlier time frame of the parents and their young children. Where the book lost me was the later third, when it changed narrative from third person to first person, in the perspective of Esra, the great-granddaughter of the original characters Gerhard and Elsa. Perhaps it was because the time frame changed from historic to the present day, or perhaps it was because the story was now being told from the perspective of a millennial who doesn't know their a*s from the elbow. Regardless of why, I was annoyed and I stopped caring. This later third of the book also felt rushed and was under developed. I had become attached to Gerhard and Elsa, who both matured and were developed as the book progressed. All of a sudden, their whiny great-granddaughter was telling me about some insipid red dress and her war correspondent lover who wants to write a book of photographs. Again, the author tried to cover a lot of ground, without really sinking her heels in and without developing anything substantial. I got to the end of the book and shook my head because it was trite and devoid of anything meaty. At the very end, the author attempted to come full circle, but instead of doing it boldly with a surprise, the story wimped out and fell flat. A book that started so well telling the story of smart, hardworking intellectuals, ends with an indecisive millennial chasing a potential broken heart. I was not impressed. On a positive note, one thing that I think the author did well and that I liked was the descriptions of the Turkish landscape and atmosphere. The sea, the Mediterranean, ruins, and sunsets are described beautifully and I could sometimes feel the scenes based on the descriptions alone. I also liked the author's attempt at showing what individuals go through when as one character puts it, "people confuse nationality and religion." The author also did a good job trying to show that children rarely follow the footsteps of their parents, as they try to light their own path outside of the shadow of the generation that came before them. The book's idea and the attempt to tell this story was valiant, but the result just was not gripping. Instead of trying to tell a multi-generational story in only 319 pages, I would have preferred a more focused story on one generation. The unique story of Gerhard and Elsa fleeing Germany with their two young children was enough. I didn't really care for the book's turn to tell the story of the grandchild and great-grandchild as adults. Perhaps I missed the point of the book, but at the end, I felt no attachment to it. I actually think the characters indeed had a county, they unfortunately could not reconcile what the country's purpose was as it relates to their own identity. Gerhard and Elsa figured this out. Their daughter Suzi, granddaughter Sude, and great-granddaughter Esra did not. 2.5 Stars out of 5. 5.0 out of 5 starsI could not put this book down it is thrilling from beginning to the end. Wow what a story! I could not put this book down and now that I have finished the last line I can't wait to find another book written by this wonderful author. From the very beginning I was intrigued. I have not read anything about the Jewish families who escaped to Turkey during WWII. This book starts with Gerhard who lives in Germany right before Hitler's regime takes over. He and his love escape from Germany, try to find their way in a strange land called Turkey and how Gerhard helped Turkey overhaul the Turkish Universities by hiring highly esteemed Jewish Professors. The story spans through several generations up through this century. I have never known much about Turkey's history but I feel like I know much more now. It's a fascinating tale with many historical facts about the country and about the plight of the many Jews who helped change the Universities and the medical world in Turkey. I cannot wait to read more from Ayse Kulin, she is fantastic writer. I feel like I lived the tale right along with the characters in this book. This book is about a family fleeing Germany when Hitler took office and proclaimed he made all decisions with no congress approval beeded. An associate told Gerhard, a pathologist ready to become head of the department, that he heard his brother a policeman that Jews were being targeted. His wife Elsa and he heeded the warning an left for her parents house in Zurich. Her dad who worked full time at a university decided to start a placement firm for displaced educated people. 100 's applied. He had a meeting in Turkey that Gerhard took as they were starting to build university's a d new hospitals. He placed 30 people there including himself. They were welcomed for there skills until the country's leader passed. After that there were that's and coups and turmoil in general. There son moved to America for school and stayed. There daughter was a Turk to her core and married and remained in Turkey. This follows life in general for the family as it grows. It follows the family until current times. You are bound to learn a lot as Turkey is not the usual stage for this type of book. A very good and easy read.